Supports iPhone and iPad and international keyboards. 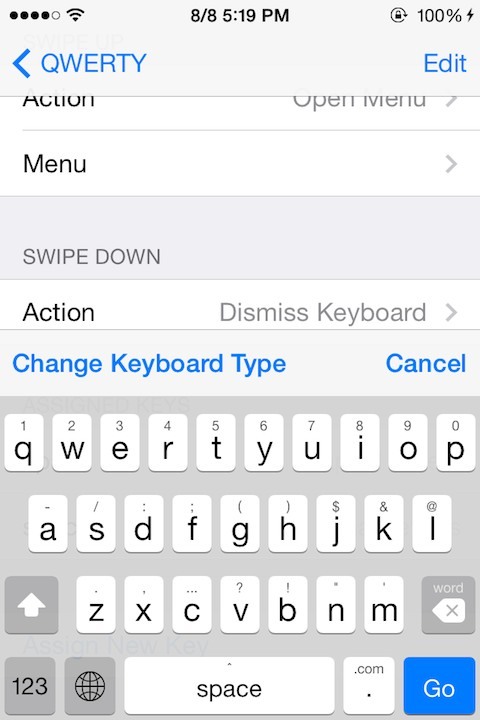 Insert any text, perform an action, or reveal a menu of actions by swiping up or down on any key on the keyboard. Customizable for almost every key. 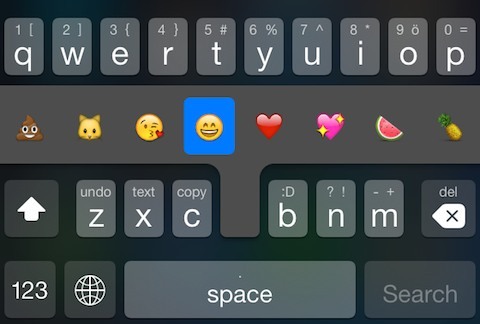 Keys can be configured to display as lowercase when using the lowercase keyboard and to show custom names above each character. 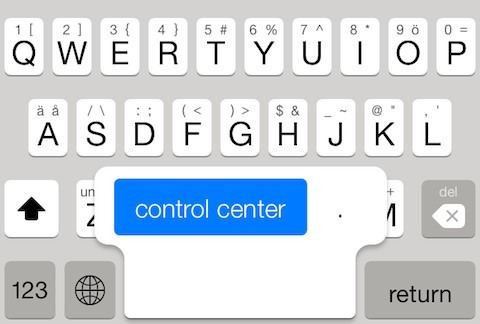 Actions include select, cut, copy, paste, inserting the last saved photo, opening Control Center, defining a word, and many others. 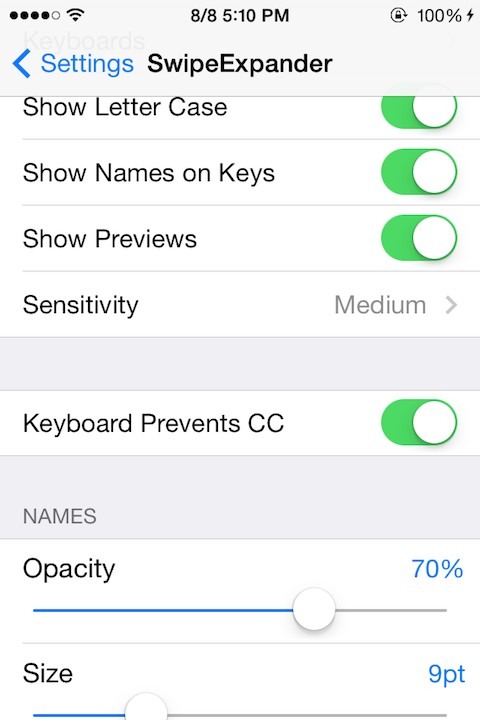 Compatible with other keyboard tweaks such as SwipeSelection (Pro), PredictiveKeyboard, DismissMyKeyboard and KeyShortcut. Configure options from Settings app.